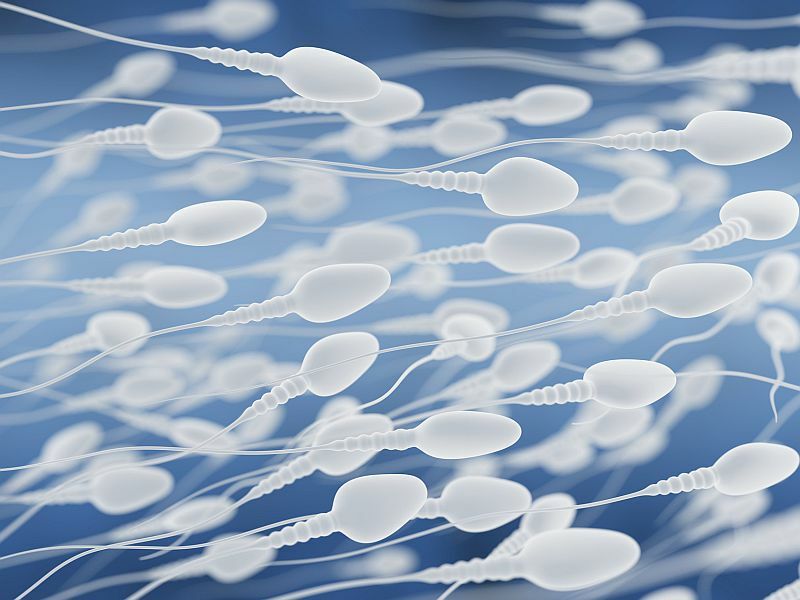 A low sperm count may do more than affect a man’s ability to have children. It also may be linked to a number of health problems, new research suggests. A study of nearly 5,200 Italian men found that those with low sperm counts were 1.2 times more likely to have more body fat, higher blood pressure, higher bad cholesterol and triglycerides, and lower levels of good cholesterol. Men with low sperm counts also had higher rates of metabolic syndrome, a cluster of these and other risk factors that boost the odds of diabetes, heart disease and stroke. They also had higher rates of insulin resistance, which can lead to diabetes. “Infertile men are likely to have important coexisting health problems or risk factors that can impair quality of life and shorten their lives,” said lead investigator Dr. Alberto Ferlin. He is an associate professor of endocrinology at the University of Brescia in Italy. “Fertility evaluation gives men the unique opportunity for health assessment and disease prevention,” Ferlin added. The study was presented March 18 at the Endocrine Society’s annual meeting, in Chicago. Ferlin said the study associates low sperm count with metabolic changes, heart disease risk and low bone mass. He added, however, that it does not prove that low sperm counts cause these problems. Instead, it shows sperm quality can reveal general health. “Men of couples having difficulties achieving pregnancy should be correctly diagnosed and followed up by their fertility specialists and primary care doctor because they could have an increased chance of morbidity and mortality,” Ferlin said in a society news release. The U.S. National Institute of Child Health and Human Development has more on male infertility.